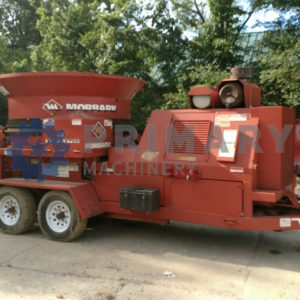 Primary Machinery has a wide variety of quality used Morbark tub grinders. Find the Morbark tub grinder that fits your needs with our wide selection of wood recycling equipment for sale. Our used tub grinders are competitively priced to fit any budget whether it be a Morbark 950 for smaller jobs or a 1200 horsepower Morbark 1300B, we have you covered. Our inventory is always changing, so if you don’t find the mulch grinder you are looking for, let us know, we WILL find it. If it is your Primary Machine, we make it OUR responsibility! Lots of updates, too many to list! *Options and specifications may vary on spec sheet.